Most of the entries in this series of things that have impacted on the Johnny Mackintosh books have been either science fiction or science based. I have though saved the biggest influence until last and it comes from another world, but one which many readers will know well: Jo Rowling’s spectacular creation, Harry Potter. Some people might have heard the story of how I came to begin reading about the boy wizard from Godric’s Hollow, but for those who haven’t here goes. Of course as a publisher I’d heard about Harry and his creator JK Rowling, but I figured he was for kids and I had no interest whatsoever in books about witches and wizards and magic and broomsticks, even though the buzz about this remarkable creation wouldn’t go away. I was working for a company called Addison-Wesle y who were based in Boston, Massachusetts, so had been spending time over there. At the end of the week everyone from the office was out a party in a club (I think the House of Blues) and I would be heading back to the UK the next day. I was approached be someone looking a little sheepish who said she had something to tell me – that everyone in the office thought I was Harry Potter. The next day I found and bought Harry Potter and the Sorcerer’s Stone at Logan International Airport and read it on the flight home. Curiously, although I may have read all the Harry Potter books 20-40 times, I’ve still never read the Philosopher’s Stone version of book one where it all began. 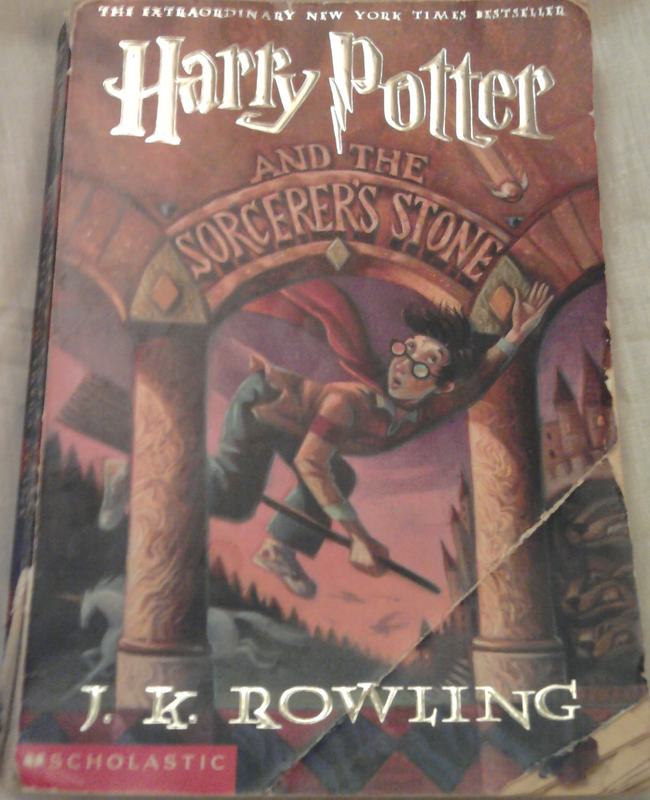 At that time Harry Potter and the Chamber of Secrets was also published so I bought that at Heathrow Airport on the way home, and Prisoner of Azkaban soon followed. I loved this world that the woman who was to become my writing idol had created. It’s a tribute to her that she could even make things like magic and dragons and Quidditch sound interesting. But most of all it was what we call the voice of the books, and the cleverness of telling everything from Harry’s point of view, even when he got the wrong end of the stick. It had never occurred to me to write the sort of books that children might want to read (as well as adults). I’d been trying to pen the ultimate cutting edge modern novel, a kind of cross between Iain Banks, Paul Auster, Tibor Fisher and Irvine Welsh (there’s a thought!) when one day, walking back from the writing class I’d been going to it hit me like a sledgehammer. Although I enjoyed reading authors like those four listed, there was nothing I loved reading more than Harry Potter. Just as it was books from my childhood that had left further, indelible marks on me. And that I felt that about Harry despite, not because of, the subject matter. How much better it might be if I could write the same sort of story, but replacing magic with science, and having aliens instead of goblins and house elves, and football instead of Quidditch, and pack it with fun gadgets and computers. I began writing Johnny Mackintosh and the Spirit of London. The other novels I’d tried to create had all been hard work – this was like reading my all-time favourite book, but it was up to me how it developed. It flowed so well. And, many twists and turns later, it’s remarkable that the third in my own series publishes tomorrow. I have no doubt that Jo Rowling is the greatest writer and storyteller of her (my) generation and seriously underrated. I suspect a lot of it is due to jealousy of her success. Whenever I read other books aimed at the same market, often by lauded authors, I find myself picking holes in their writing and technique, but I can’t find fault with the writing behind Harry Potter. When I was first working on the Johnny Mackintosh stories I would actually read the Harry Potter books in a continuous loop to remind myself of the incredible voice I was trying to find. If a new book was coming out I might have to pause my own writing for a while so I could time it perfectly to finish, say, Goblet of Fire, the day before Order of Phoenix came out so I could carry straight on into the new book. Sound a little obsessive? Maybe, but I am Harry Potter’s number one fan and don’t let anyone tell you different. In fact, here’s a Harry Potter Quiz I once wrote for the Sunday Telegraph magazine, just before The Deathly Hallows came out. They asked me to create something ungooglable. They also wanted me to include a fair amount of film stuff (as they didn’t realize fans cared about the last book being released, not the fifth film). Also, they wanted multiple choice and so I gave five answers to each question, but the final piece was printed with only four possibilities, so not all the questions work as intended. But I’m still proud of it. The STEWS setting was my idea too. 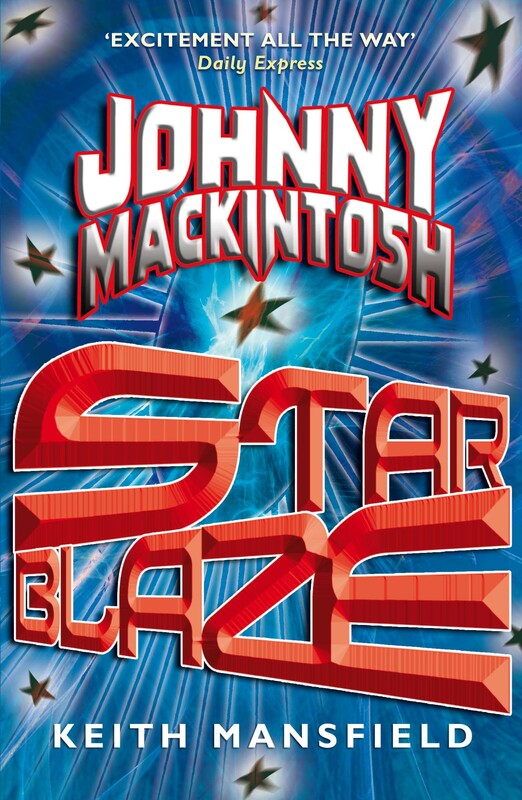 When I pitched the Johnny Mackintosh books to agents and publishers the 10 second sell I began with was “Harry Potter in space” (or sometimes “Harry Potter meets Star Wars in case they thought at this stage that Harry Potter alone hadn’t made enough money). People who know me will know that dreams are a big part of my life and I suspect the same is probably true of JKR, because of the way she weaves Harry’s into the stories. I’ve done the same. The best bit about the Potter books is the way so many clues are hidden in plain sight. It’s wonderful trying to spot them – for instance, Chamber of Secrets is particularly packed full of clues that point to events into the far future, even including books six and seven. I’ve tried to do the same. Up until about draft 30 of Spirit of London (yes you read that right) I think my setting for Johnny was too similar to that of Harry’s, in that I had my own hero living with foster parents. Then, after a year of rewriting and plotting, I came up with the idea of Halader House and the children’s home in which my story begins. I could wax lyrical about the boy who lived for days/weeks/months, but I’m sure you get the idea. Tomorrow my third book will be published and it’s a huge thank you to Jo Rowling for helping that happen. And now I might just pop out and see if I can buy a copy of and then start on a book I’ve still never read: Harry Potter and the Philosopher’s Stone.